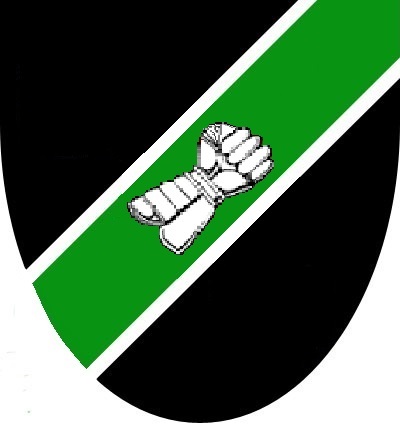 Sable, on a bend sinister vert fimbriated, a fisted gauntlet argent. current 00:28, 24 September 2015 400 × 425 (49 KB) Melisande of the Gryphon Wood (talk | contribs) Sable, on a bend sinister vert fimbriated, a fisted gauntlet argent. This page was last edited on 23 December 2017, at 21:33.